Age-defying lipsticks. 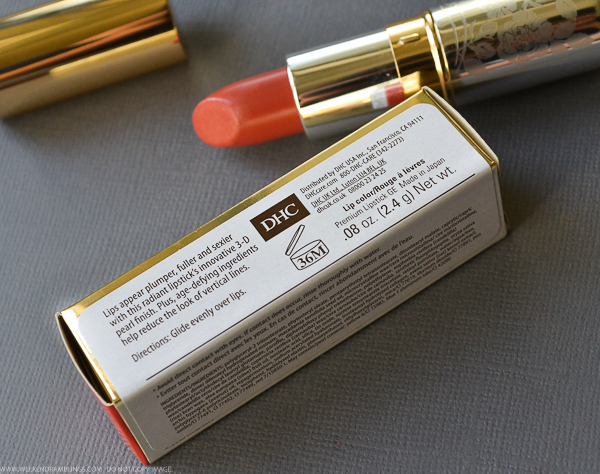 Hydrating, satin-finished DHC Premium Lipstick GE helps your lips look younger with revitalizing ingredients and Pure Color Technology—micronized pigments that deflect light for a fuller, plumper appearance. In six wearable shades perfect for any occasion. Helps fight vertical fine lines with olive oil, vitamin A and skin-conditioning germanium. 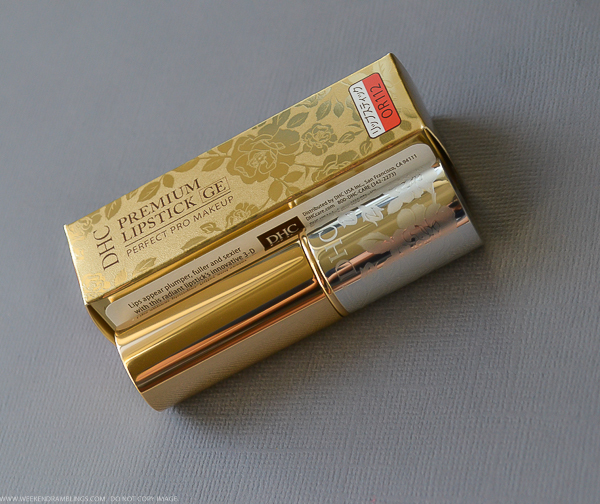 I got to a couple of newly launched makeup products from DHC recently, and the product I am reviewing today is DHC Premium lipstick in OR112. 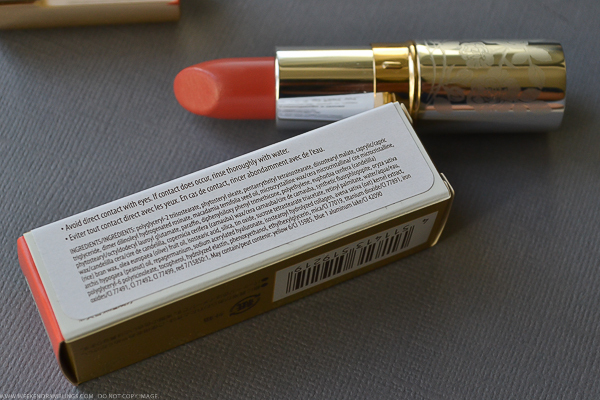 Creamy and made with lip-friendly ingredients, these lipsticks claim to not only provide creamier application and plumper looking lips, they also claim to, over time, provide antiaging benefits to the lips. 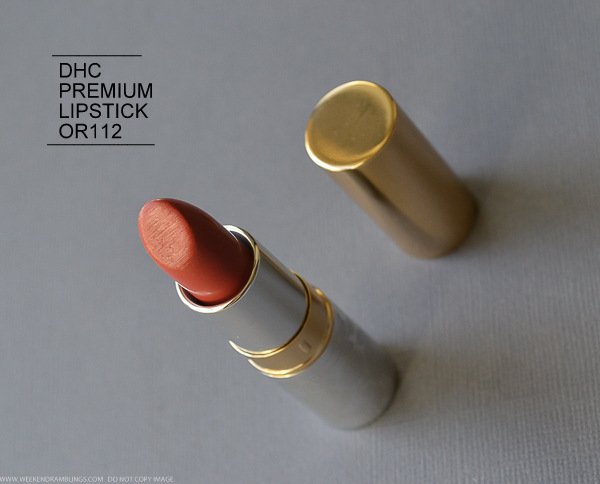 The DHC lipsticks, like a lot of other Japanese brands, have only numbers for the shades and no names. It's a little easier to guess the color family, though. OR112, for instance, is an orange-based shade with a hint of peachy brown to it. On skin tones lighter than mine, this would make a nice neutral color. 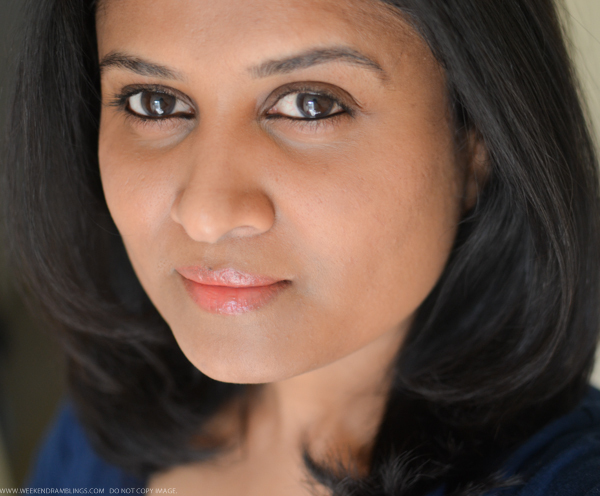 On my darker skin, the orange tones are more prominent. Here's how the color looks on me. 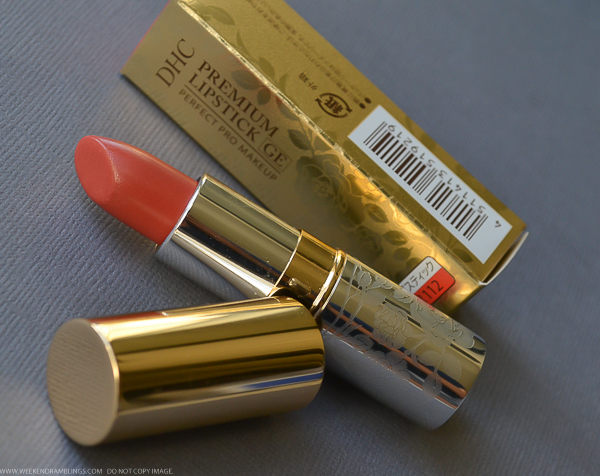 The DHC lipsticks, in general, are definitely quite creamy and feel quite moisturizing on my lips. I would recommend using these on well-prepped lips, though, because the soft lipstick latches on to and accentuates any dry bits and flakes on the lips. 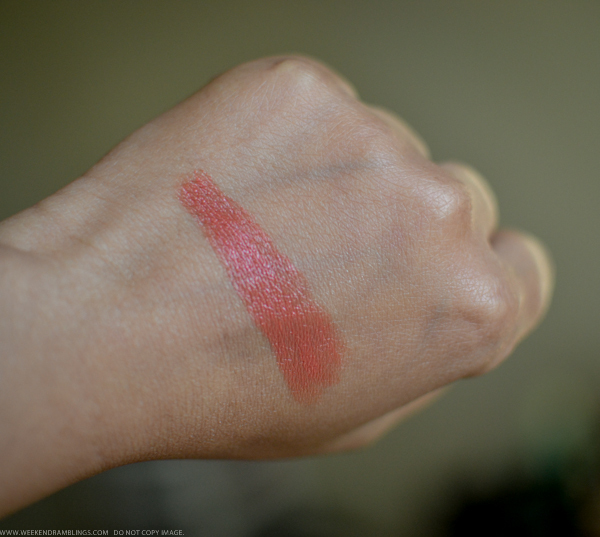 OR112 is a wearable orange-toned lipstick - a shade that's much easier to carry off than some of the brighter oranges that turn up every spring/summer - and it's a nice pick for someone who likes creamy, lightweight textures. The finish is soft and glossy, and the color lasts about 2-3 hours on me. Product provided for review. Links are for information only and are not affiliate links.